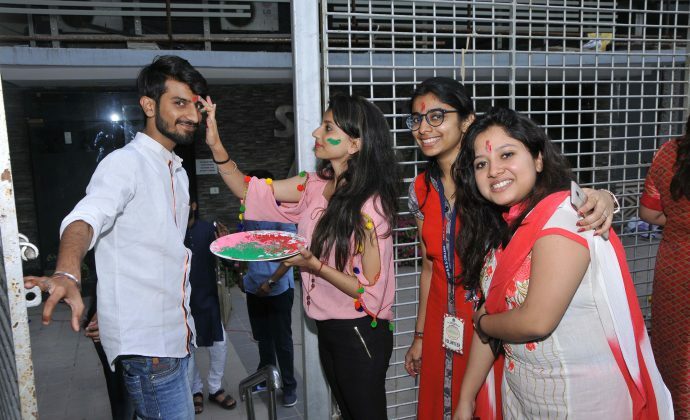 The Taj, the Radisson, Kingfisher – Vinay Sharma has worked there, seen it all. As a matter of fact, he has the rare distinction of having felt the sun from both sides – first as an insider in the hostility business and then as a faculty in the training side a vocation in which he has spent close to a decade literally training the high flyers. 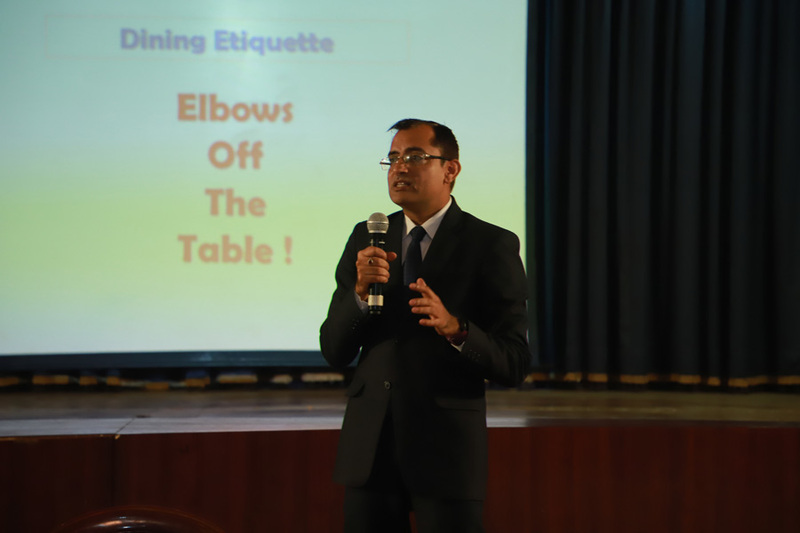 Naturally the Bhawanipur Education Society College (BESC) could not have had a better expert to talk table manners and etiquette to students. 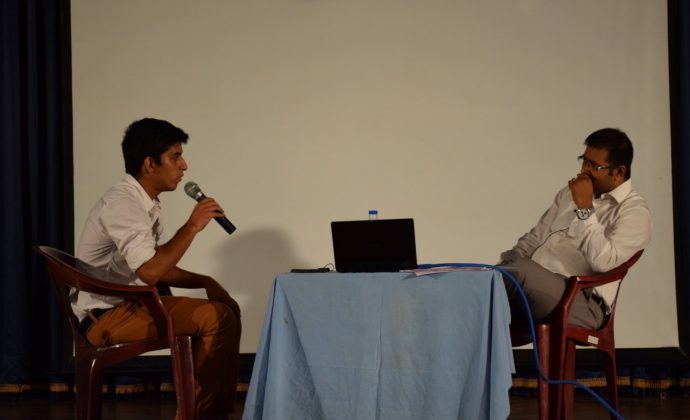 If attendance was to be considered a yardstick, then certainly, the event was a see out. 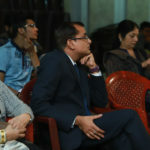 Prof Dilip Shah, the Dean of student affairs of the BESC introduced the speaker and underscored the necessity of propriety and decorum in life, especially in view of the fact that we are increasingly moving towards a border less, global village, where thought and content will be as important as the presentation. 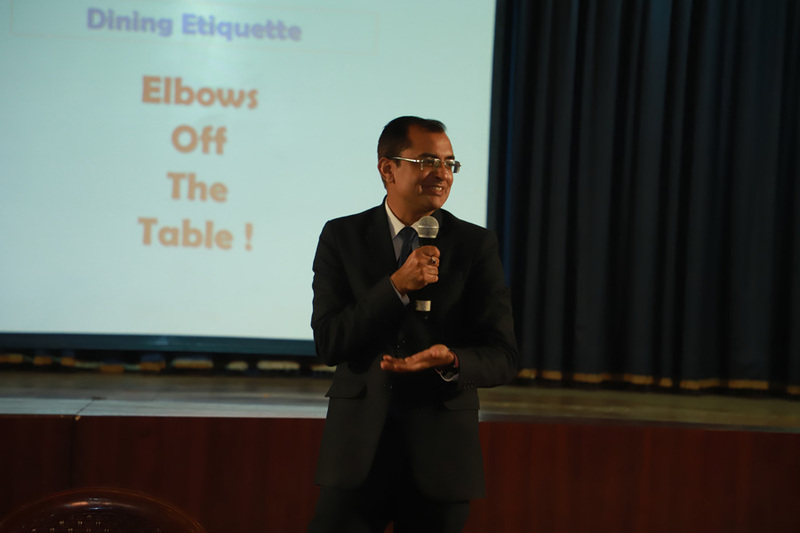 said the speaker, adding how it is important to feel as well as show such concern – apparently little things, gestures even, that have a huge impact. He then proceeded to explain the necessity of etiquette and how it often marks the difference between the suave and the philistine. 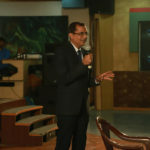 Speaking from his considerable experience and interspersing the dialogue with anecdotes, the speaker carried the audience, often taking them on a flight – not of fancy, but as a highly accomplished Stewart / hostess, ready to meet any eventuality, “pro-pah” politeness firmly in place, that too with a smile. He talked about “small talk” at the dinner table. 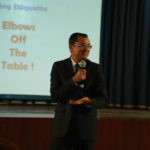 He talked about the art of raising a toast and about the little speeches that accompany them. 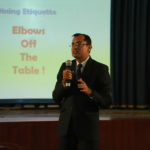 He talked about posturing – about the proper ways of sitting; table manners and expected behaviour patterns in a formal sit down dinner; about the need to know and be acquainted with the use of cutlery; about the use, efficacy and proper handling of napkins and a host of related things that are often taken for granted, seldom taught and therefore the Achilles’ heel to many. 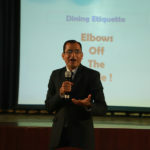 Excusing one from a formal gathering, taking of a call in a situation where such sacrileges are frowned upon, even the placement of cutlery to signal that one is through – were all matters that were highlighted in great detail, the speaker often going at lengths to explain the finer nuances that spell class. 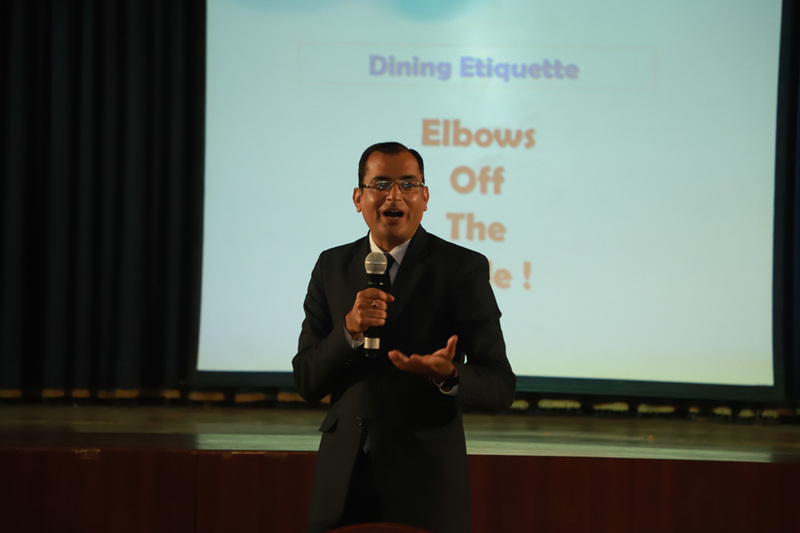 The session was then opened to the floor with Vinay Sharma taking questions from the students and explaining to them the etiquette issues involved. 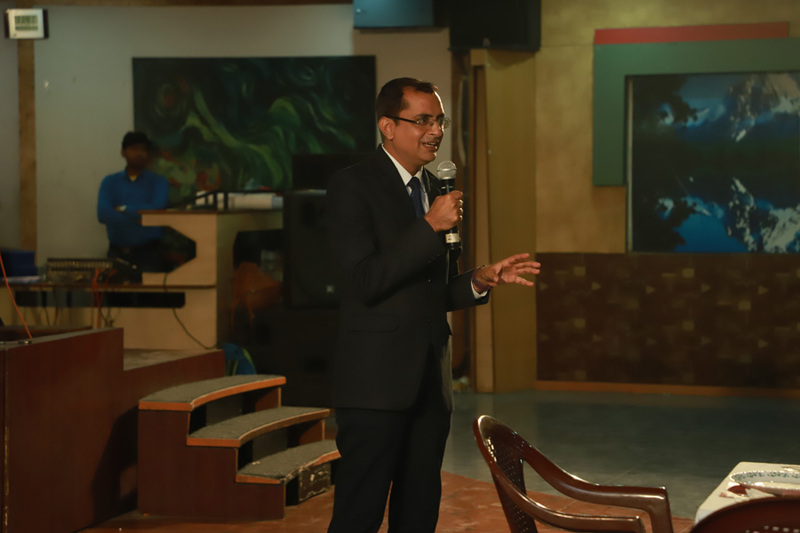 Prof Dilip Shah gave the wrap up speech, thanked the speaker and his accompanying colleagues before felicitating him on behalf of the college. 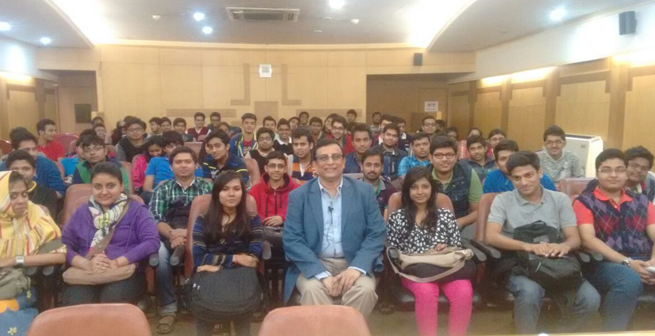 The 50 students who had attended the talk, were highly impressed by the dapper Mr Sharma – as much with the man as they were with the gist of his message, often wondering aloud at the little things that they thought were of no particular significance, but learnt, are noticed by the discerning eyes often spelling the difference between the winner and the also-rans. 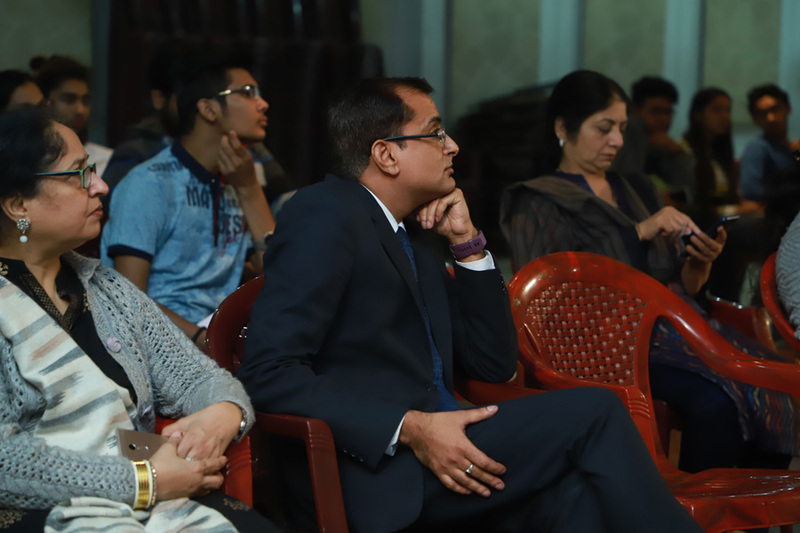 This report has been filed by Prachi Shah of the Expressions collective of the BESC.